Open Source Government: Italian Parliament, two-year switch to begin in September. The IT department of the Italian Parliament presented plans for the migration of all of its 200 servers and more than 3500 desktop PCs to GNU/Linux and Open Office. The switch will be carried out gradually, as reported by IDABC, it will start next September and it will take about two years. After reading that the Italian parliament bets house on SuSE Linux I asked Pietro Folena to tell me more. According to IDABC the IT department of the Italian Parliament presented a massive migration plan (200 servers, 3500 desktops) that will take about two years. Could you tell us more about it? 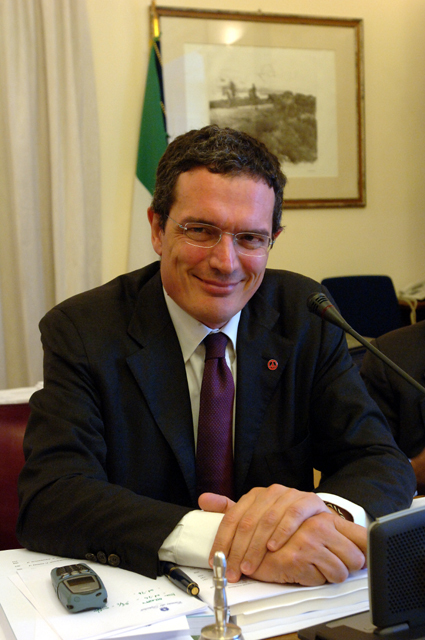 Mr. Pietro Folena, Member of Italian Parliamente, proposed on July 2006, to adopt Free Software in the Parliament (low house) IT infrastructure and on desktop Pcs, both. The second proposal was to allow to MPs the choise between Windows and a Free Software Operative System, like GNU/Linux. This year the IT department of the House of Deputies (the low house of Italian Parliament presented a plan to migrate to Suse Linux Enterprise Edition the desktops of MPs, parlamentarian fractions, offices, but servers was migrated during 2005 and 2006. In order to introduce politicians to Linux are you consider a sort of “One Laptop per Politician” initiative? If this is the case, how would you get them interested in learning a new paradigm? No, It’s matter of freedom. We have Windows 2000 on our desktops. But this was an imposition that I didn’t accept. I’m a elected MP, so I want to decide if using Windows or a Free Software Operative System. I think that I’m more free using free software. I hope that all MPs will chose GNU/Linux on desktops, to know this alternative to proprietary software. If MPs will know the Free Software filosophy I think that laws on software and culture will be better. You said that “This migration will be a very important case study and will present us with best practices, relevant for all public offices.”, is the IT department wondering to write a blueprint (i.e a replicable and complete description of a set of tools and processes that satisfied a specific need)? At this moment I know there isn’t a blueprint, because migration of desktops will start on september. But I think that it will write next year or after. A political question, what do you think of the idea of “open-source politics”? There are some interestin projects of this. I think that “open source politics” are necessary. Politicians and cityzen are too far. But I see some facts: European Parliament, in example, changed the IPRED 2 directive by Internet-people riot. In Italy we deleted a fee on cell phone by a petition signed on Internet. The Net is a chance of democracy and partecipation. Open Source TCO: look at the COSPA frameworks (part 1)!